This blog post will be about the other magical store world of Windows Phone 8.1 and that’s the world of the Windows Phone Store. By now, I think many are already aware of the different possibilities for the Windows Phone Store, but I thought it would be time for a complete overview like I did for Windows Phone 8.1 and the Microsoft Intune Company Portal app. 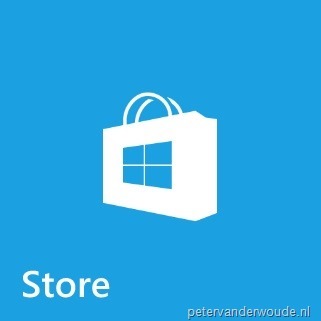 This post will contain the different scenarios for providing (limited) access to the Windows Phone Store. These scenarios will be explained for Microsoft Intune standalone and Microsoft Intune hybrid. This scenario will be about allowing the access to all the apps from the Windows Phone Store except for specifically configured exceptions. For the second and third scenarios I’ve used the wonderful app Snapcat, which is basically a selfie app for cats, as an example. The App URL for this app is the following: http://www.windowsphone.com/en-us/store/app/snapcat/7a1a6000-4956-4030-8862-831d3633d8b9. The first scenario is also the most restricting scenario. This scenario will completely block the access to the Windows Phone Store. On a high-level, this can be configured by performing the configurations mentioned below. These configurations are based on the current versions of ConfigMgr and Microsoft Intune. Microsoft Intune standalone This can be achieved by creating and deploying a Windows Phone Configuration Policy (Windows Phone 8.1). 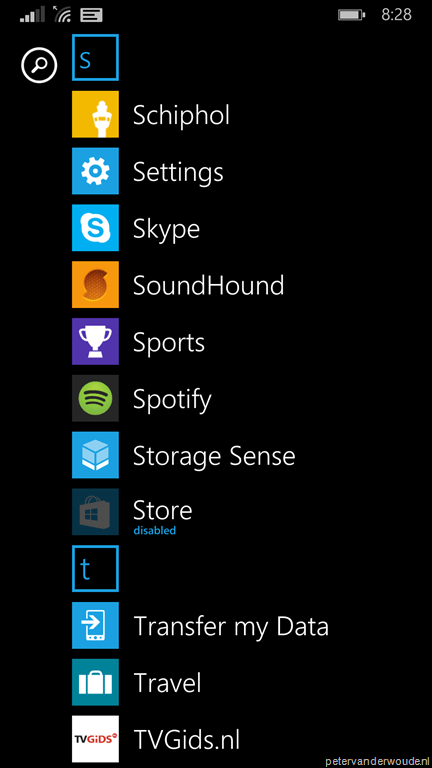 In the Applications section enable the Allow application store (Windows Phone 8.1 +) setting and configure it to No. Microsoft Intune hybrid This can be achieved by creating a Configuration Item of the Mobile device type and selecting the Store mobile device settings group. 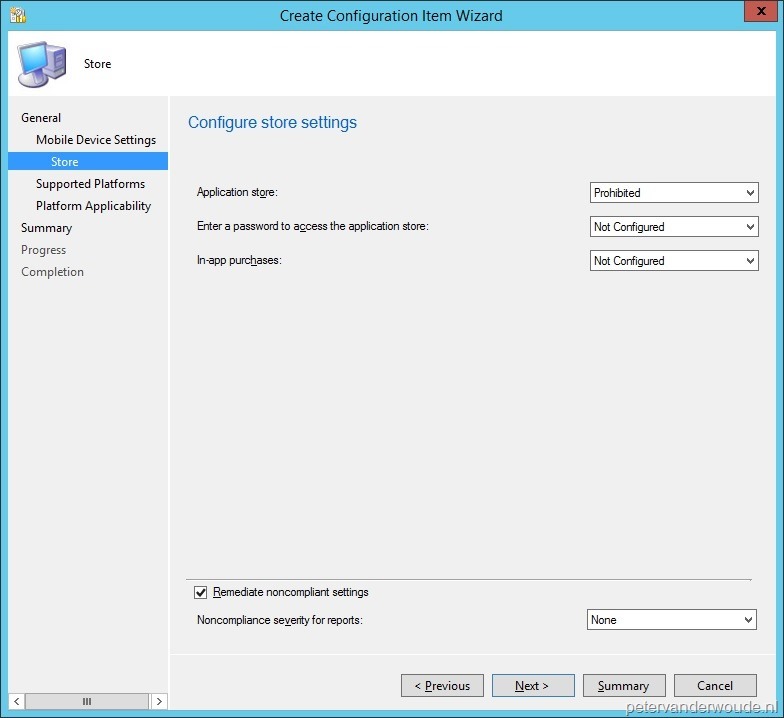 Configure the Application store setting to Prohibited, add the configuration item to a configuration baseline and deploy it. Note: In both cases this is also still possible via a custom OMA-URI. The value should be set to 0 and the location would be the following ./Vendor/MSFT/PolicyManager/My/ApplicationManagement/AllowStore. The second scenario provides a bit more room for movement within the Windows Phone Store. In this scenario the Windows Phone Store will be accessible, but only for specifically specified applications. Every application that’s not specified will be disabled when it was already installed, or will not be available when the installation is tried via the Windows Phone Store. On a high-level, this can be configured by performing the configurations mentioned below. These configurations are based on the current versions of ConfigMgr and Microsoft Intune. 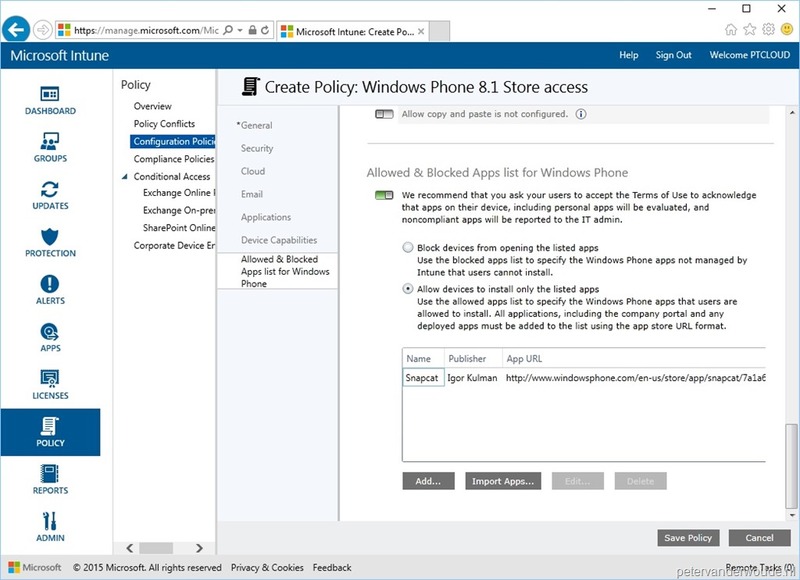 Microsoft Intune standalone This can be achieved by creating and deploying a Windows Phone Configuration Policy (Windows Phone 8.1). In the Allowed & Blocked Apps list for Windows Phone section make sure the Allow devices to install only the listed apps setting and add the App URL to the app in the Windows Phone Store. 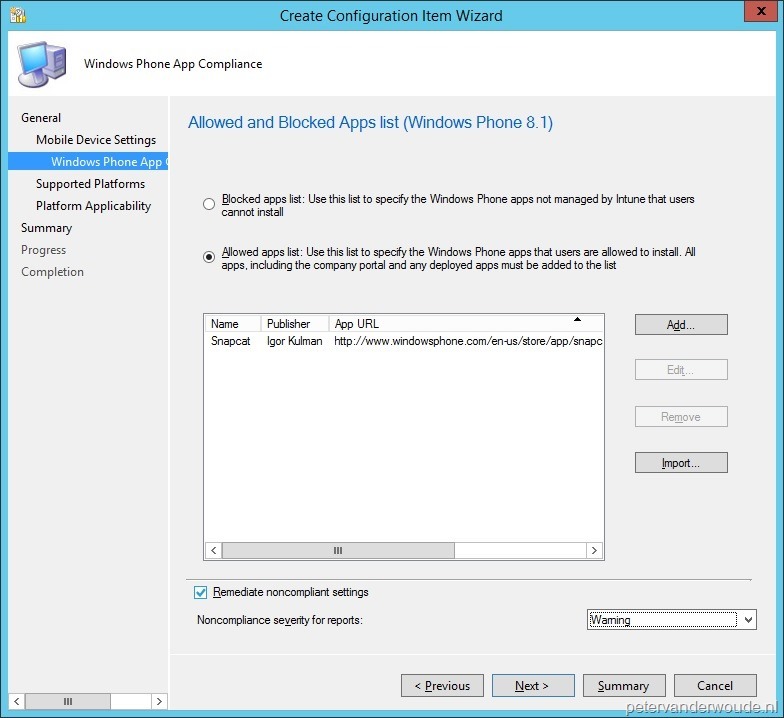 Microsoft Intune hybrid This can be achieved by creating a configuration item for a mobile device and selecting the Allow and Blocked Apps list (Windows Phone 8.1) mobile device settings group. 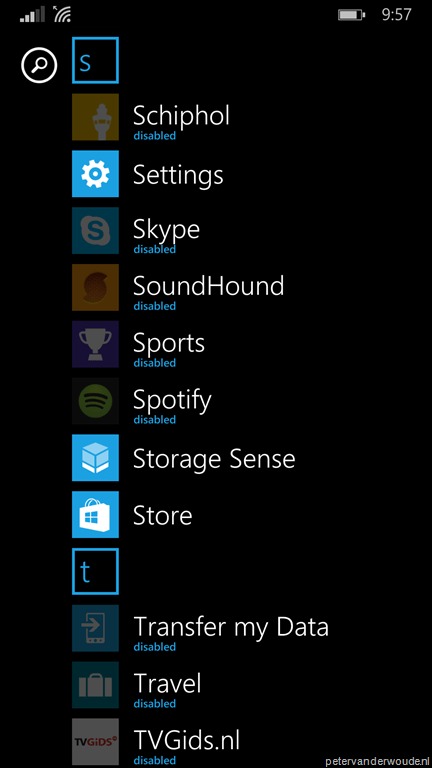 Make sure the Allowed apps list setting is selected and add the App URL to the app in the Windows Phone Store. Now add the configuration item to a configuration baseline and deploy it. Note: In both cases this is also still possible via a custom OMA-URI. Via OMA-URI there is also a bit more flexibility, as it also provides the ability to allow a specific publisher. The location of the OMA-URI would be the following ./Vendor/MSFT/PolicyManager/My/ApplicationManagement/ApplicationRestrictions. The third scenario provides the most room for movement within the Windows Phone Store. In this scenario the Windows Phone Store will be accessible, except for specifically specified applications. Every application that’s specified will be disabled when it was already installed, or will not be available when the installation is tried via the Windows Phone Store. This could even be used to block certain line-of-business applications. On a high-level, this can be configured by performing the configurations mentioned below. These configurations are based on the current versions of ConfigMgr and Microsoft Intune. 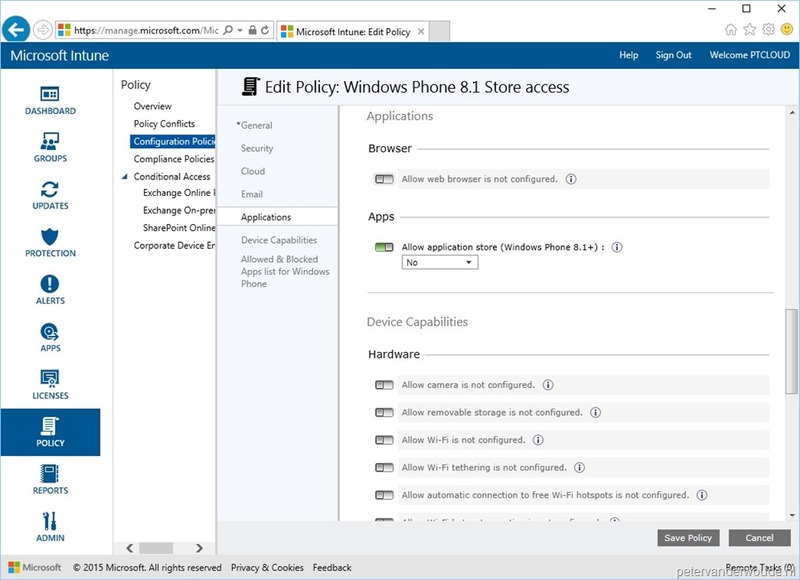 Microsoft Intune standalone This can be achieved by creating and deploying a Windows Phone Configuration Policy (Windows Phone 8.1). In the Allowed & Blocked Apps list for Windows Phone section make sure the Block devices from opening the listed apps setting and add the App URL to the app in the Windows Phone Store. Note: In both cases this is also still possible via a custom OMA-URI. Via OMA-URI there is also a bit more flexibility, as it also provides the ability to block a specific publisher. The location of the OMA-URI would be the following ./Vendor/MSFT/PolicyManager/My/ApplicationManagement/ApplicationRestrictions. Now that I’ve gone through the different scenarios it’s time to look at the results of those configurations. Below are screenshots available per scenario. For the first and second scenario I choose to go for a screenshot of the App list, as it provides the best visible result. For a similar reason I choose to go for a screenshot of the specific app, in the Windows Phone Store, for the third scenario. The result of the first scenario is a completely blocked Windows Phone Store. The result of the second scenario is that every app from the Windows Phone Store is blocked, except for the Snapcat app. 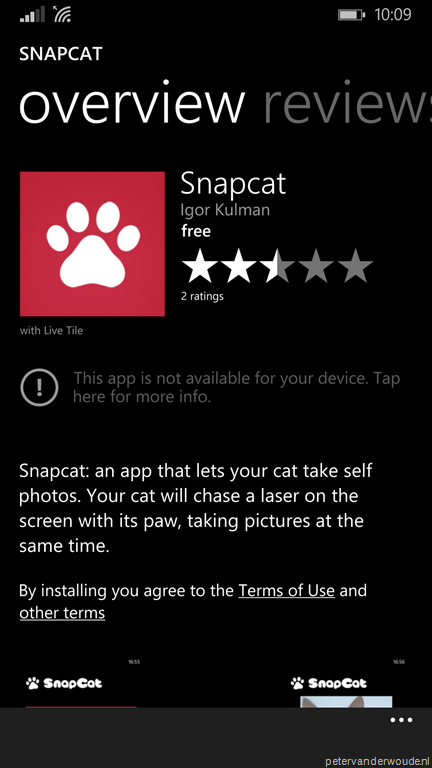 The result of the third scenario is that every app from the Windows Phone Store is allowed, except for the Snapcat app. Out of interest have you tried this on a Windows 10 Mobile as I am configuring a setup using scenario 2 with Intune standalone, however on a Windows 10 mobile it blocks pretty much everything including the settings, Outlook, and calendar app. The store App is also blocked even though in my policy I have set it up to be allowed and it is not greyed out like the others. Thanks for your comment and much appreciated, however if I am managing a high number of Windows 10 mobile devices this solution is difficult to implement as you have to manually install the provisioning package as Intune doesn’t support deployment of this. So to me the easier way would be to publish the list of apps URL’s in the store so you can add them to the allowed list. 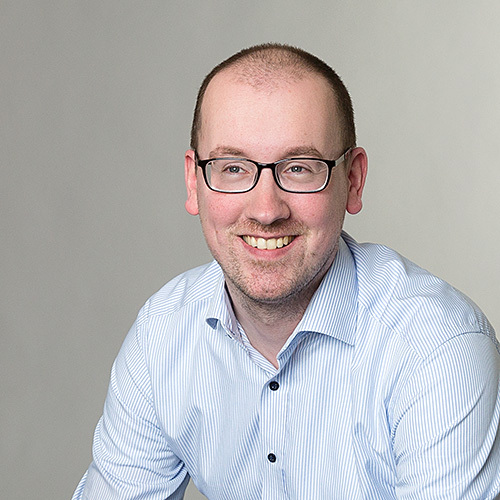 No, you don’t have to create provisioning packages. You can create and XML and use that as the value for the required OMA-URI.